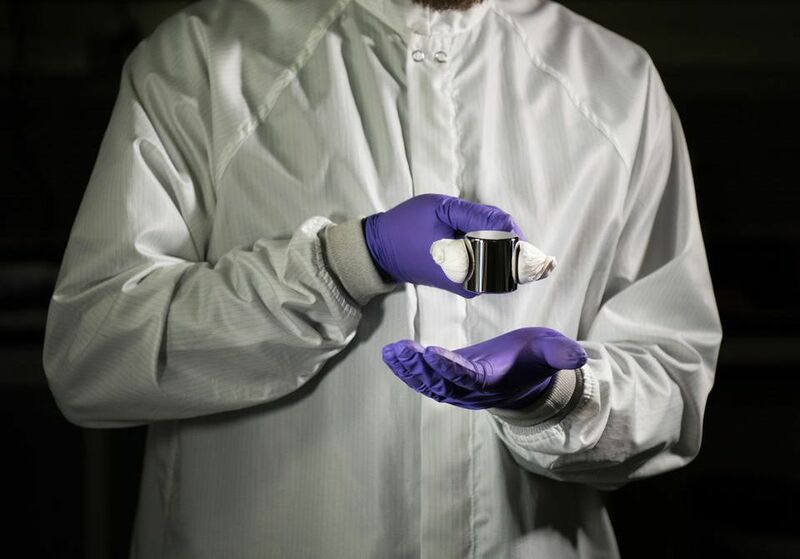 Nearly every measurement of weight you’ve ever made, from peeking at your bathroom scale to measuring out flour for a recipe, can be traced back to just a single object: a metal kilogram made of platinum and iridium that resides under lock and key in an underground vault in Paris. It’s called the International Prototype Kilogram, or IPK, and since its creation in 1889 it has been the standard by which the world’s weights are defined. But not for much longer. Copies of the IPK are distributed around the world, with countries then creating their own reference weights, as close to the original as possible. These, in turn, are used to calibrate scales and weights throughout every section of society, from labs and factories to supermarkets and bakeries. And, yes, this includes America. The United States uses pounds and ounces instead of kilograms, but these too are calibrated using the International Prototype Kilogram, just like the metric system. But later this week, on Friday, November 16th, a coup is planned in this international ministry of weights. After having served for 129 years as the world’s standard, the International Prototype Kilogram (or Le Grand K, as it’s known locally) will be stood down. 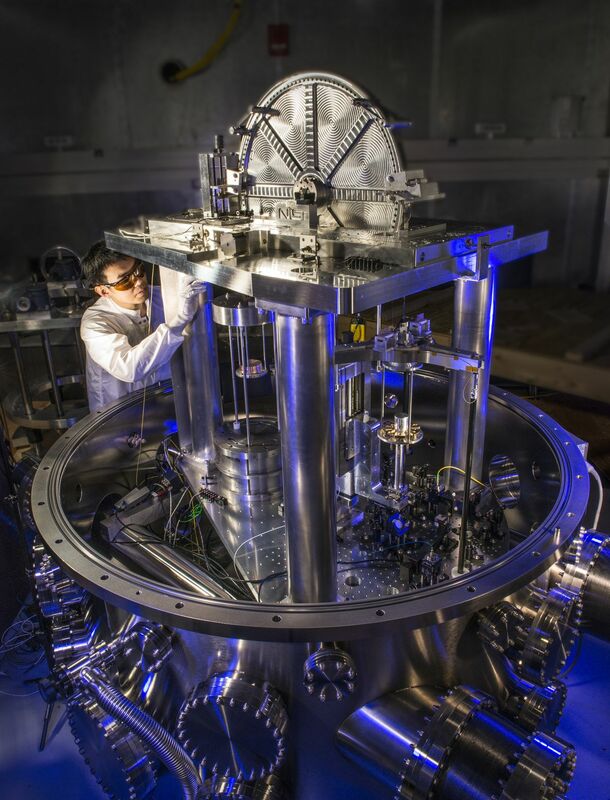 Grandees of the International Bureau of Weights and Measures, which regulates the metric system, will gather in Versailles and vote to replace this physical artifact with a definition of the kilogram based on a fundamental constant of nature. Think of it is as the scientific equivalent of Indiana Jones swapping a golden idol for a bag of sand. After the redefinition, a kilogram will remain a kilogram, but its value will rest on far stranger foundations. The original International Prototype Kilogram, safe within three vacuum-sealed bell jars. The quest to define units of measurement using constants of nature goes back to the creation of the metric system during the French Revolution. At this time, the ideology of liberté, égalité, fraternité was embraced not just by revolutionaries, but by scientists as well. The metric system was created with the intention of liberating the common man and woman from the confusing and inconsistent weights and measures of the Ancien Régime. It was a utopian project, with its creators imagining that a shared system of weights and measures would unite the world, allowing for the free exchange of goods and information. But to ensure that these new units were accessible to all, there had to be new definitions. One unit of length used in France at the time was the pied du Roi, or “king’s foot.” The name makes obvious the unit’s origin, but also its place in a top-down political structure. 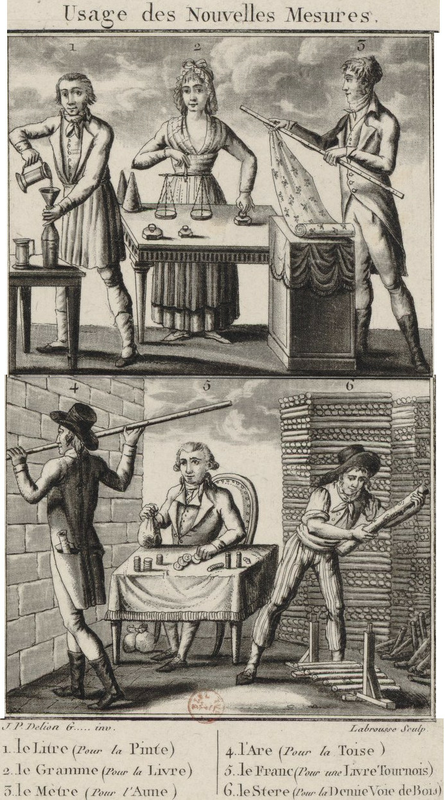 The revolutionaries wanted to overturn this system and its grip on society, and that meant defining units of measurement with experiments that anyone could repeat, rather than physical artifacts like the reference bars used to measure the pied du Roi. So, the kilogram was originally defined as the mass of a cubic decimeter of water (a decimeter being a tenth of a meter), while the meter itself was calculated as a fraction of the distance between the North Pole and the Equator. A section of this imaginary line running through Europe was measured painstakingly by hand, inch by inch, in a seven-year journey across the continent. And, in 1798, the meter was officially redefined as 1/10,000,000th of half the Earth’s meridian. If any country needed to create their own meter standard, they could, theoretically measure it themselves. A woodcut from 1800 illustrating new decimal units introduced in France. “These definitions was introduced at a time when the revolutionaries wanted to create units that were pour tous les hommes, pour tous les temps — for all men, for all time,” Dr. Martin Milton, director of the Paris-based International Bureau of Weights and Measures (or BIPM as it’s known from its French initials), tells The Verge. Over the next century, though, as the metric system was adopted by more nations and new units were added, scientists began to worry that the world was not enough. The physicist James Clerk Maxwell outlined the shape of these fears in 1870, warning his peers that “the Earth might contract by cooling, or it might be enlarged by a layer of meteorites falling on it,” changing its shape and with it the length of the meter. This warning might sound absurd, but Maxwell’s anxiety reflects the fundamental importance of metrology. Consistent units of measurement are the foundation of the scientific method. Without them you cannot reliably repeat experiments, and if the results of your experiments are not reliable, then neither is your understanding of the world. As Lord Kelvin, the British scientist after whom the metric system’s unit of temperature was named, said in 1883: “When you can measure what you are speaking about, and express it in numbers, you know something about it.” If you can’t, you don’t. The solution? Like animals fleeing rising floodwaters, metrologists sought higher ground, epistemologically speaking. Instead of using the Earth as a basis for defining units, they decided to use constants of nature — numerical or physical quantities thought to be unchanging throughout the universe. These constants form the bedrock of modern physics; so fundamental to our understanding of the physical world that they’re given single-letter code names, like super-spies of the universe. There’s G for the gravitational constant, c for the speed of light, and more unfamiliar measures like h, or Planck’s constant, which is the smallest action that can be taken by a photon. It was the meter that was the first to be pegged to a constant. In 1960, it was measured using the wavelength of light, and then, in 1983, at the BIPM’s 17th convention (this week’s will be its 26th), it was given its current definition as “the length of the path travelled by light in vacuum during a time interval of 1/299,792,458 of a second.” As ever with these redefinitions, the goal is not to change the unit itself, but to ground it in a new reality. Over the past few decades, six of the seven units of the metric system — the meter, the second, the ampere, the Kelvin, the mole, and the candela — have undergone the same transformation. 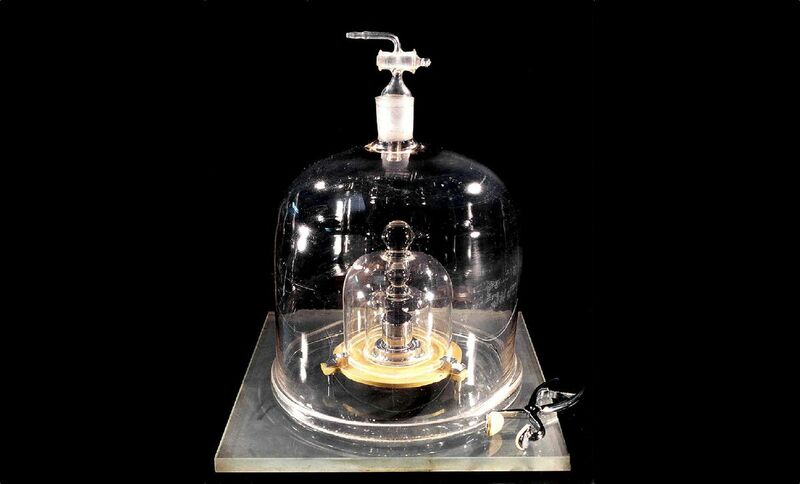 Now, only one artifact-based unit remains, the kilogram, and metrologists are itching to get rid of it. Le Grand K has proved this point itself. Although the kilogram is made of one of the most stable alloys known to science and treated with reverential care — it has sat, undisturbed, in the same location for almost its entire life, encased in a trio of vacuum-sealed bell jars — it has also, inexplicably, been losing weight. During ceremonial weigh-ins that take place every few decades, when reference copies of the International Prototype Kilogram are flown in from around the world and compared to their distinguished forebear, the IPK has been found to have lost around 50 micrograms in mass, roughly equal to a single eyelash. Of course, because the IPK is the definition of the kilogram, it can’t technically lose or gain weight. Instead, it’s more accurate to say that the rest of the world has been getting slightly heavier. The exact reason for this discrepancy isn’t known, but one theory is that handling protocol over the years might have been followed less than rigorously, leading the IPK to be contaminated in some way. BIPM director Milton suggests this is one possible cause, and points to the fact that the IPK’s mass changed between the 1940s and the 1990s, but not since then, as evidence. “What we do know is that the measurements in the recent era, the last 30 years, seem to be in good control,” says Milton. The heavens are a fine template for scientific achievement, but are not easily accessible from Earth. Redefining the kilogram using universal constants has been a grueling, if mostly unremarked project, involving decades of research by labs around the world; the fruits of two Nobel Prizes in quantum physics; and the construction of some of the most intricate machinery ever built. It’s no small task, shoring up the foundations of reality. The end result of all this hard work is an instrument known as the Kibble balance. This was invented in 1975 by British physicist Bryan Kibble, and has been optimized since to reach new levels of accuracy. Despite its complications, the Kibble balance works like a traditional set of scales or beam balance, just like those you might use to weigh groceries. But while these scales usually weigh one mass against another, the Kibble balance weighs mass against an electromagnetic force which can be measured extremely accurately. This electromagnetic force is generated using a coil of wire surrounded by permanent magnets. This setup can create two different methods of weighing. In the first, you run a current through the coil of wire to generate electromagnetic pull. In the second, you physically move the coil up and down like a piston, which has the same effect. Due to a number of recent discoveries (including those Nobel Prizes we mentioned), we can measure some of the forces involved in both of the weighing modes with incredible precision. And by combining this knowledge, we can measure the mass on one side of the Kibble balance using Planck’s constant. 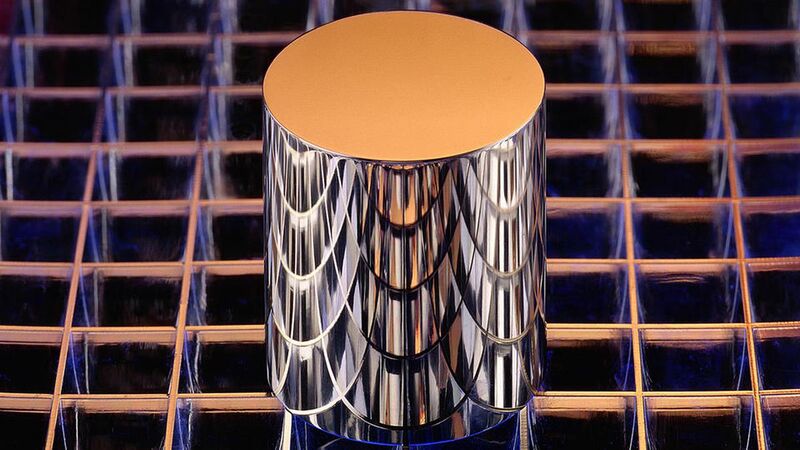 This is what allows scientists to create a new definition for the kilogram: measuring the fundamentals of the physical world down to what is essentially the smallest possible physical action. The Kibble balance operated by the US National Institute of Standards and Technology. Only two labs have so far managed to create a Kibble balance that can weigh mass with the necessary precision to define a kilogram. One is run by the National Research Council in Canada, and the other is operated by NIST in the US. Their balances are so delicate that they have to be kept in sealed vacuums. Scientists even have to measure the local gravitational field of the room they’re working in to account for any variations before they can be used. Hao Fang, who leads the BIPM’s efforts in this area, and Franck Bielsa, who works with her, compare the process to running a dozen experiments simultaneously. “You have to work with the constraints of many individual fields at once,” says Bielsa. “You have optics; laser interferometry for length measurements; electrical metrology to measure precise currents and voltages; you need to determine the gravitational field in the room where you’re working, and so on.” Lining up all these variables to take a single measurement is an act of patient skill, like Odysseus shooting an arrow through the holes of a dozen axe heads in The Odyssey. But in this case, the feat is not performed by an individual, but an entire community, all drawing the bow together. The actual changeover — when the labs that are able to start making their own measurements of the kilogram using the Kibble balance — won’t come until May next year, but this week’s conference is the celebratory coronation. The change will also affect more than just weight. Because other metric units are currently defined using the kilogram, once its definition changes, theirs will need to be updated too. In total, four units will be given new definitions: the kilogram, the ampere, the kelvin, and the mole. There is still a final vote to be passed by delegates from various nations of the BIPM’s governing body, the General Conference on Weights and Measures, but those involved say it’s pretty much a done deal. The final vote will take place in Versailles on Friday and after the celebrations will begin. A NIST employee holding one of the agency’s kilogram masses. But this is not the end of metrology. It’s a science that’s never able to stand still. When Napoleon Bonaparte was presented with the International Prototype Meter in 1799, he declared: “Conquests will come and go, but this work will endure.” He was only partly right. The meter as a unit has endured, but the platinum standard that Bonaparte was handed has not. Meter — length. Distance traveled by light in a vacuum in 1/299,792,458 seconds. Second — time. Exactly 9,192,631,770 cycles of radiation of an atom of caesium-133. Kilogram — mass. Planck’s constant divided by 6.626,070,15 × 10−34 m−2s. Mole — amount of substance. Avogadro constant, or 6.022,140,76 ×1023 elementary entities. Candela — luminous intensity. A light source with monochromatic radiation of frequency frequency 540 × 1012 Hz and radiant intensity of 1/683 watt per steradian. Kelvin — temperature. Boltzmann constant, or a change in thermal energy of 1.380 649 × 10−23 joules. Ampere — current. Equal to the flow of 1/1.602 176 634×10−19 elementary charges per second. And for some, even defining units of measurement using natural constants doesn’t completely fulfill that guiding mantra of metrology: “For all people, for all time.” Only two labs are able to correctly wield a Kibble balance at this point, with around half a dozen others working on the problem. It’s a credible criticism, then, to say that this dependence on technology removes units of measurement from public ownership just as much as the use of the king’s foot did. This becomes a question of trust ”Metrology is kind of a black box,” says Crease. “Metrologists trust the black box because they know how what’s inside works. Non-metrologists have to trust the black box from the outside.” It doesn’t help that the new definition is “incomprehensible” to the average person, he adds. In an age where expert knowledge and scientific consensus are derided in the name of “common sense” and demagoguery, the idea of distrust growing like a rot in the metric system is not completely far-fetched. Even the constants of the universe could prove to be an inadequate foundation for units of measurement if public trust in them fails. For metrologists, these are mostly theoretical worries. BIPM celebrates the complexity of its work as a good in and of itself; one that is reaffirmed by every measurement made using its research. And just because the metric system is based on some of the most complex ideas of contemporary physics, doesn’t mean they can’t be appreciated. And at the BIPM, there’s more measuring to be done. Milton rattles off a list of the agency’s other duties, from work in chemistry that underpins the purity of drugs and food to the maintenance of Coordinated Universal Time, which nations around the world use to set their clocks. In a global society, he says, where the needs of industry are always changing and scientists are always expanding the boundaries of human knowledge, the discipline of measurement will never be obsolete, nor can it afford to stand still.